Fila Men's / Women's 12 Pair No Show Socks Only $12.99 Ships FREE! You are here: Home / Great Deals / Fila Men’s / Women’s 12 Pair No Show Socks Only $12.99 Ships FREE! Fila Men’s / Women’s 12 Pair No Show Socks Only $12.99 Ships FREE! Order these Fila Men’s / Women’s 12 Pair No Show Socks for Only $12.99 and Ships FREE ! 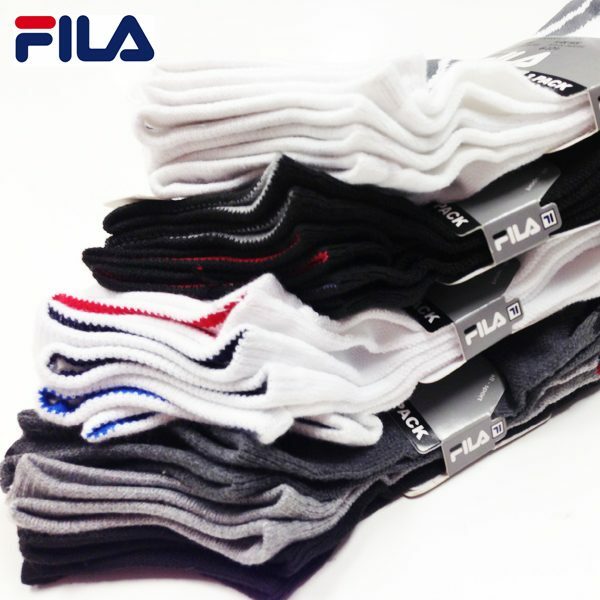 This 12 pair assortment of Fila No-Show socks will come in an array of stylish color patterns. These high quality, lightweight performance socks feature form-fitting and breathable knit construction. The contoured heel means they’ll form to your foot for a perfect fit!